The Nigerian government will send a plane to repatriate the 200 defrauded Nigerian citizens currently stranded in Russia. Steve Ugbah, Nigerian ambassador to Russia who made this known while addressing a news conference on Tuesday, said”my foreign minister and I spoke yesterday. “The foreign minister spoke to President Muhammadu Buhari. 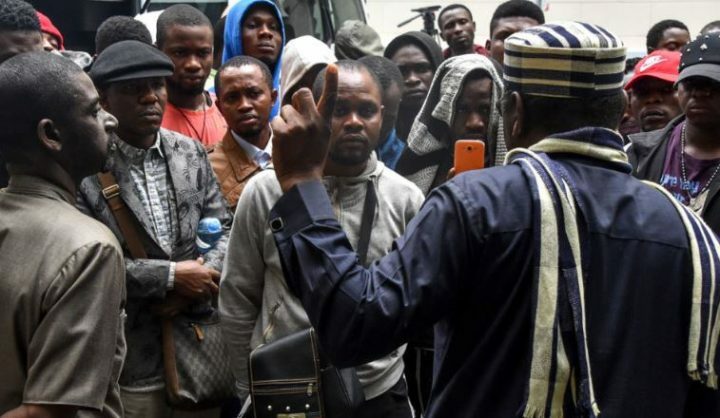 He approved that these Nigerians [would] be evacuated back to Nigeria. Currently, there are hundreds of Nigerian citizens in Russia who paid money to fraudsters for fake Fan IDs — FIFA-issued identification cards for the World Cup — to get to the country and were promised jobs but now remain without employment, money or tickets home. There are also no official reasons for their deportation since visa-free travel for Fan ID holders was prolonged by Russia until the end of the year.